Celebrating a special occasion? Fantastic! Let’s make that celebration a magical one with a visit to Walt Disney World! As you browse these 9 best celebrations to experience at Disney World, keep in mind that celebrations can happen whenever they work best for you. For example, just because you couldn’t get to Disney in June when your true birthday is, you can always celebrate your birthday in September! Outside of the numerous fun experiences with dining, entertainment, and relaxing available at Disney World – you’ll also want to check out Disney Floral and Gifts for awesome in-room celebrations. 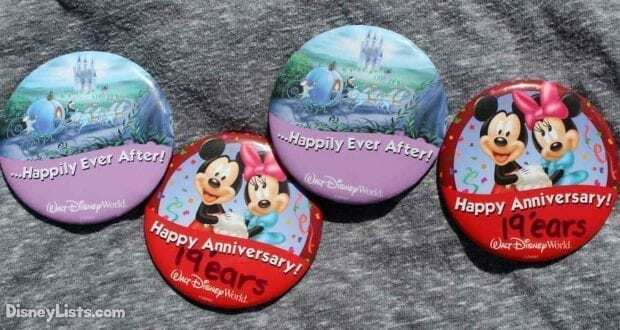 Plus, don’t forget to get your “I’m Celebrating” button free at Disney’s guest services. Let’s get to celebrating! We’ll kick off with birthdays because, well… everyone has one! BUT – just because everyone has one doesn’t mean birthdays should be lost in the routine of that crazy busy life of yours. This year we challenge you to trade in the cake and instead sing happy birthday over a Dole Whip. Buy a pair of Mickey ears for yourself as a present instead of getting that oh so practical gift. Forget about movie night as you head to that Disney attraction you can’t get enough of! Grandma, Grandpa, aunts, uncles, cousins, brothers, sisters, in-laws… the list goes on! 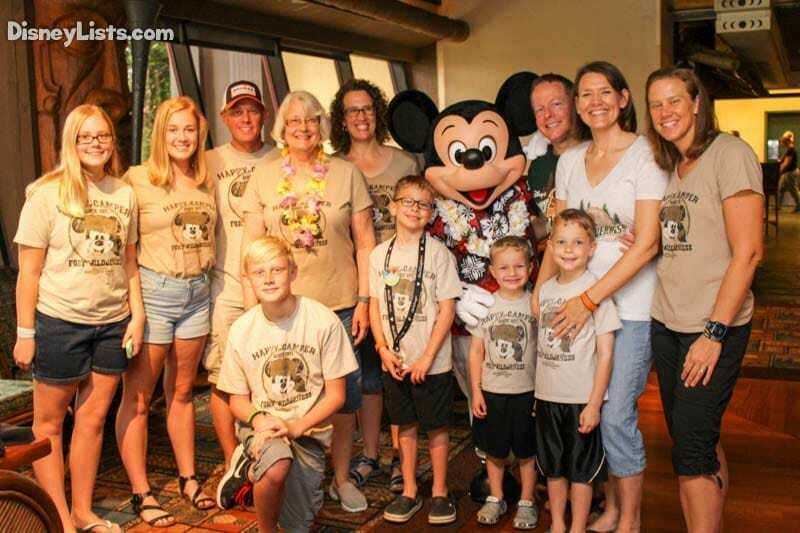 Disney World is the perfect place to celebrate a family reunion because Disney has something for everyone. Yes, family reunions at the picnic shelter are fun – but catching up over dinner at a Disney dinner show such as Hoop De Doo is just awesome. Plus, let’s not forget this is your opportunity to get those matching family shirts you’ve been dreaming of. We’ll call this one the “I Do” Celebrations because it’s all about tying the knot. There is no doubt that Disney knows about love with their timeless love stories like Cinderella and Prince Charming, Belle and Beast, Lady and the Tramp, Mr. and Mrs. Fredrickson, and of course Mickey and Minnie – just to name a few. Whether you are planning a proposal, celebrating an engagement, throwing the wedding of your dreams, running away for your honeymoon, or reminiscing about your journey with an anniversary – you’ll find that romantic celebration you are seeking with a visit to Disney. It’s a new chapter in your life! Take your best friends along with you to Disney and plan to unwind from all your recent studies. Graduation may have seemed like it took forever to arrive, but the “real” world is just around the corner. Hey, and who knows – you might love Disney so much, you’ll find a job there! We wish our kids were old enough to read this! You may see those videos on occasion of parents surprising their kids with a trip to Disney World. Well, we challenge you to reverse the roll! Wouldn’t that be a spectacular way to celebrate your mom and/or dad on their special day with a trip to Disney?! Ah, yes – that Sweet 16 celebration. It’s all about going big! Explode your Sweet 16 party by experiencing Disney World “Sweet 16 style”. Desserts galore, shopping a plenty, fabulous resorts, and exhilarating attractions… the perfect Sweet 16 package! You did it! You’ve finally reached that fantastic moment when you get to step back, hand the work keys over, and skip out of the office for the last time! Now, skip your way to Disney World for some MUCH needed rest and relaxation. If there is any celebration on this list that is the most deserving… it’s likely this one! It’s no secret that Disney goes all out for holidays. We are especially fond of Halloween and Christmas at Disney World because of the beautiful decorations and incredible special event parties. 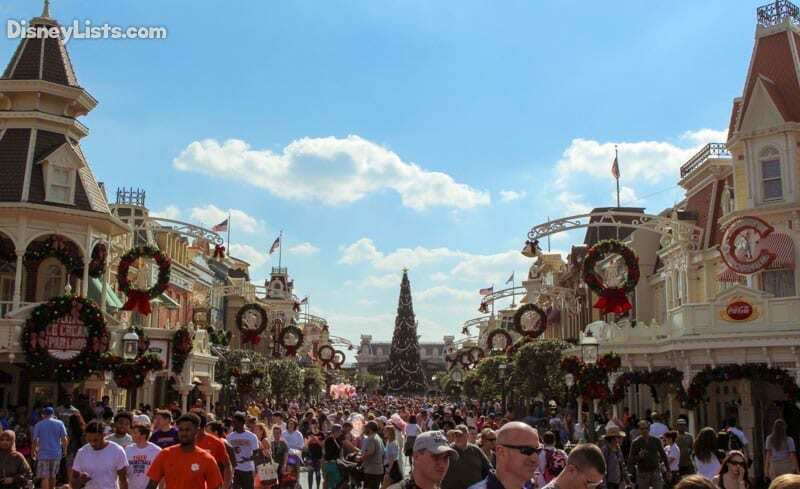 Celebrating the holidays at Disney is likely one of the most popular celebrations that takes place, but also one of the most amazing ones we’ve had the opportunity to experience. One year we traded in our Christmas gifts for a trip to Disney which was undoubtedly the best Christmas we’ve had yet! To wrap up this list, we want to throw in a “special achievement” category simply because some events in life worth celebrating aren’t necessarily the most obvious ones. We’ve celebrated at Disney World with a family member that was one year sober. We’ve celebrated a huge soccer championship. We’ve even celebrated becoming parents the second time around! Whatever your special achievement or accomplishment may be – Disney will hold the key to making it a memorable celebration.